We don't reinvent the wheel in my building. We don't have time for it. We call it using our resources. We just finished up a week on inferences and it went so well. We dug up everything we had, reviewed our standards and came up with a plan. In our Balanced Literacy program we are doing Interactive Read Alouds and Shared Readings. We start each unit with an IRA. 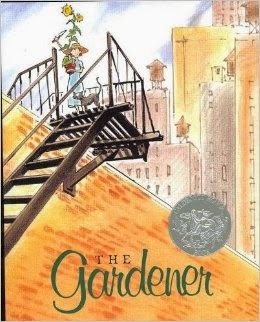 To teach Inferences we chose the book The Gardener By Sarah Stewart. My students loved it and it has so many opportunities to make inferences. Truly a beautiful story. 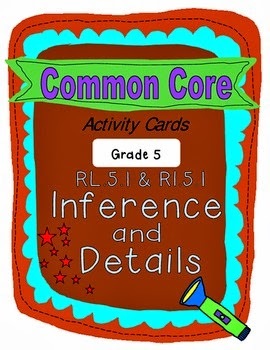 Before the read, we pulled a really easy Smart Notebook activity to introduce inferences, here. 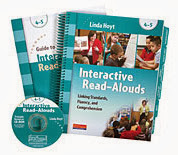 We get our list of books from this guide called Interactive Read-Alouds. It has lesson plans for each book that it list. Our school bought this book with each book that it has a lesson plan over several years ago. It is a great resource. Although it is pricey it would be totally worth it if you are looking to do IRAs in your class. You would just have to purchase each individual book on your own. The lesson plans are already made up so we just grab them and go with it. 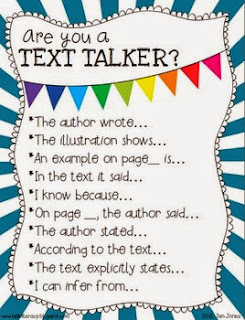 In small group we used these free worksheets from Ereadingworksheets.com. They are simple to copy and use in a group. We used this poster as a model for providing evidence. Next, we are teaching theme and summarizing. So excited about the ereadingworksheets site. Thanks for sharing. My 5th graders are moving to inference of literature this week. I also like to use books like The Empty Pot and The Royal Bee.